What is it like to fly upper class on Virgina Atlantic's B787-9? Take a look at the luxuries and amenities on board this jet. If you are flying this jet, you are likely in for a long-haul, which means the seat you occupy should offer a lot. For the frequent flyer, paying attention to details is important and amenities are scrutinized easily. 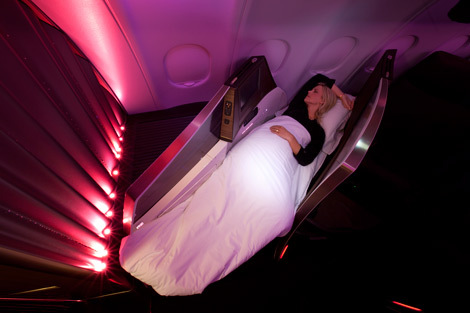 On this jet you’ll enjoy comfort along with the little things that can make you feel more appreciated as a passenger. It is a good seat for a lengthy flight, especially if you need some sleep before you land. You will be entertained for the duration of the flight if you choose to use the 70 hours of entertainment available to you. Any frequent first or business class traveler will appreciate these seats.